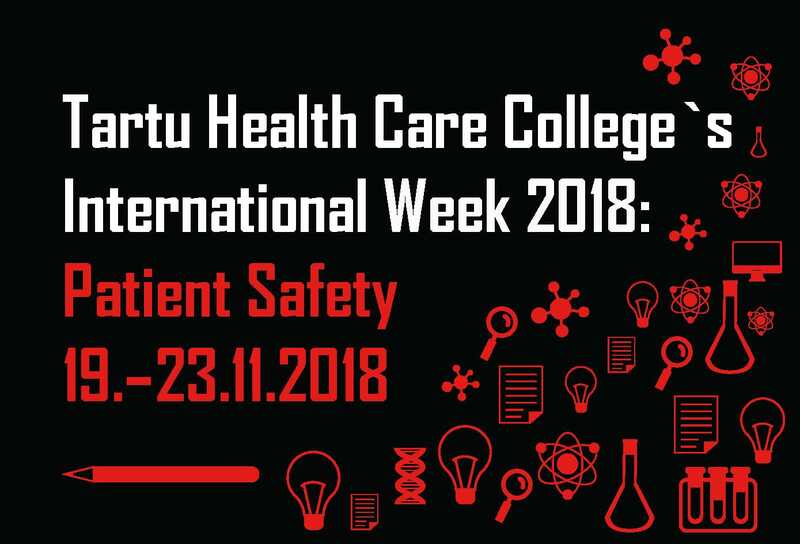 Tartu Health Care College is pleased to announce the 4th International Week for our colleagues! International week "Patient Safety" takes place between 19.-23.11.2018. During the week Tartu Health Care College is going to held on Thursday, 22.11.2018 third science conferenece "Healthy body, healthy mind full of knowledge". Conference is aimed for local health care specialist and international week participants. You are highly recommended to present posters about your institution's experience with patient safety there! In addition you can participate in several workshops, meet colleagues and get in touch with new cooperation partners, make acquaintance with the Tartu University Hospital and beautiful student town Tartu. The staff week is organized by Tartu Health Care College and is mainly directed to following units: academic staff, international relations, Erasmus student's integration structures, Applied Reserch Board. The staff week will give you overview about patient safety and cooperation in Tartu Health Care College. The purpose of the international week is to exchange experiences on the field of patient safety, international relations, share best practices. Since it would be essential to learn from the different ways patient safety is organized in different institutions, the participants are requested to make a brief presentation on their home institution. We invite you to present examples, ideas and concepts of your universities/colleges which will be analyzed and discussed in workshops. Participation fee for the week is 45€. Participants are expected to cover their own travel, accommodation and other expenses through the Erasmus staff exchange programme or otherwise. The language of communication will be English.The deadline for applying is 30th September 2018.